Laney and Jude’s birthday party was certainly one to remember! A color war fun run at Bunnell Park in LeRoy, NY. We designed these cute Color War Fun Run commemorative t-shirts that kids could take home. 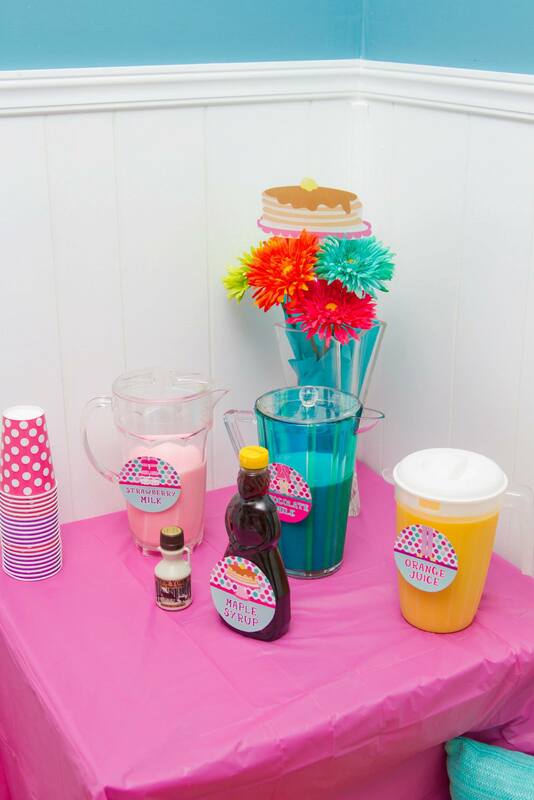 Contact us today to have your own Color Fun Run Birthday Party Invitations designed and printed. Our prices will surprise you (in a good way)! Happy Birthday Laney and Jude! 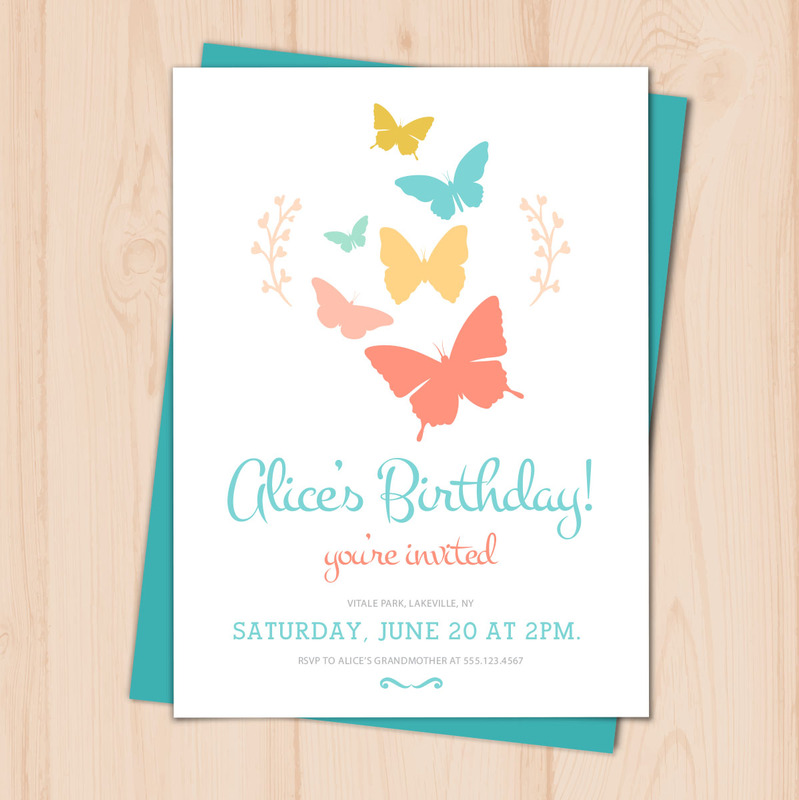 Celebrate in style with custom designed invitations. 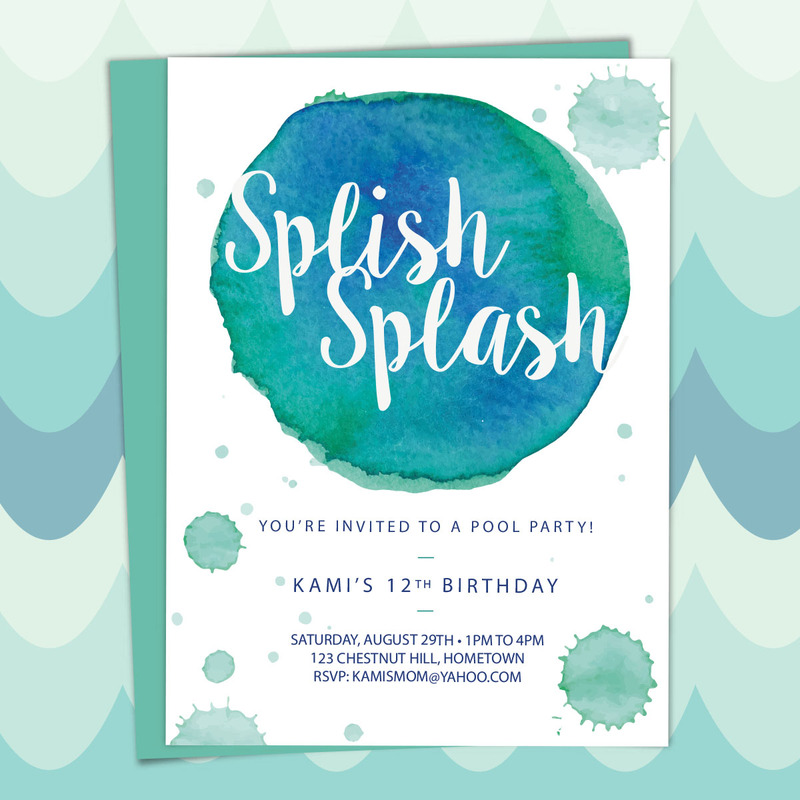 Here’s a cute design for a pool party! 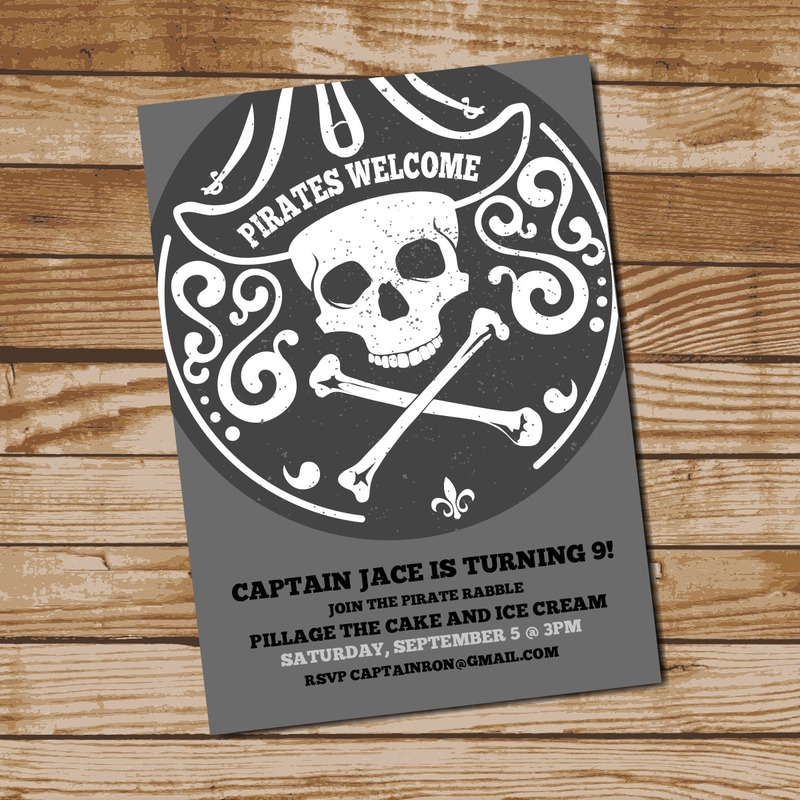 and who doesn’t love pirates? Contact us today. You will be pleasantly surprised at our very reasonable prices. And of course our one-on-one customer service is second to none! 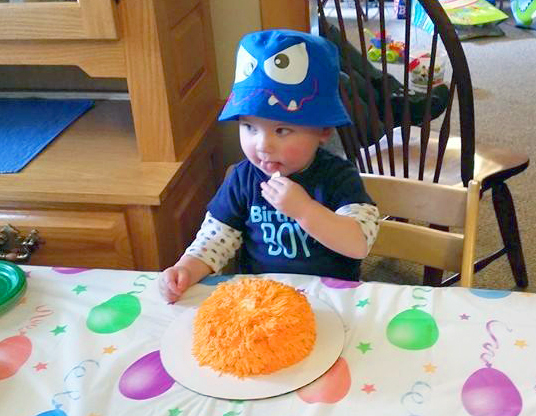 A little cake, a lot of fun… Our little monster is turning one! 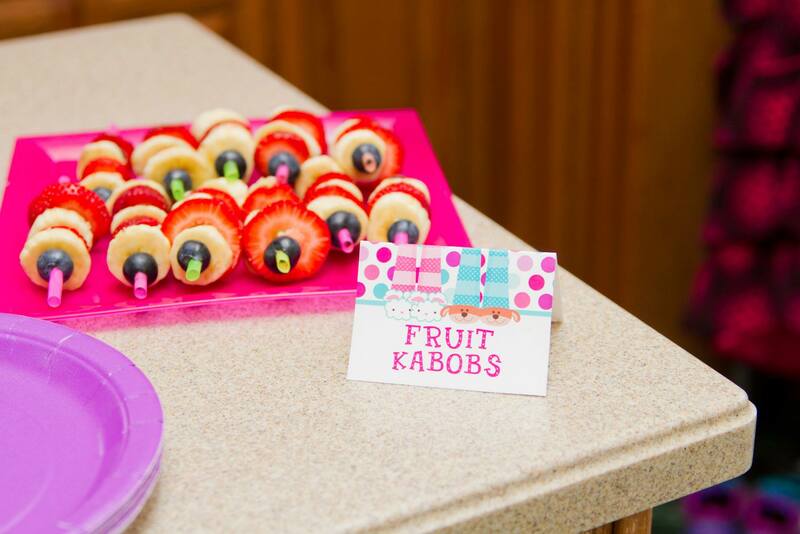 What a cute way to celebrate a little boy’s birthday. 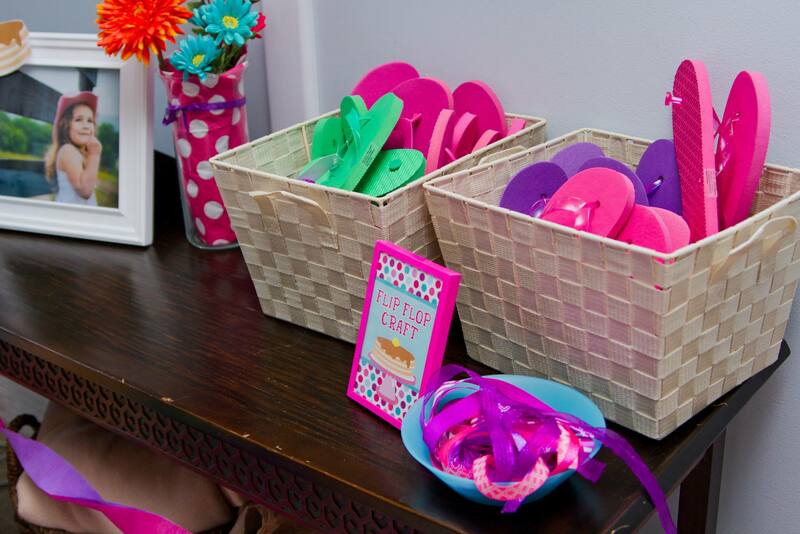 These invitations and thank yous fit the theme perfectly, and were so fun to design. The wording on these thank you cards is so creative, and perfect for a one-year-old. 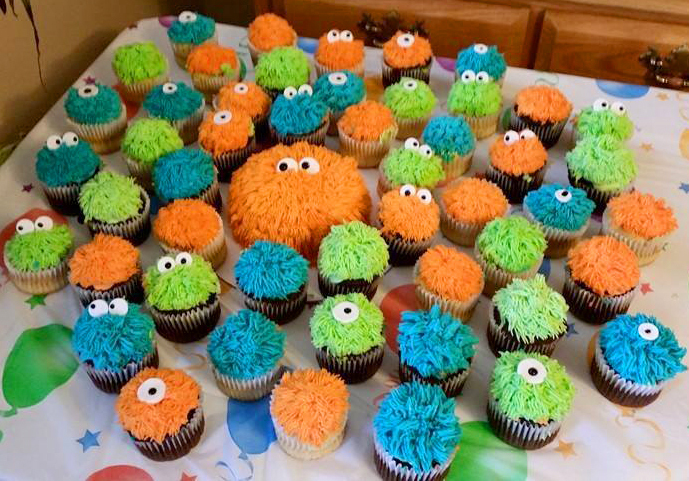 How great are these monster cupcakes!? 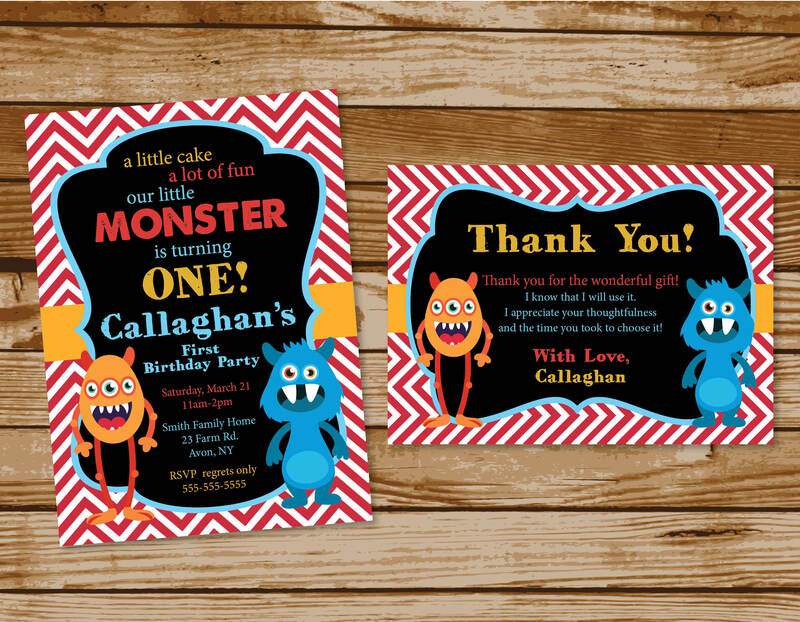 Who doesn’t like sweet, cute little monsters? Especially little ones as cute as this guy! Happy Birthday Callaghan! Hope your first birthday was extra fun! 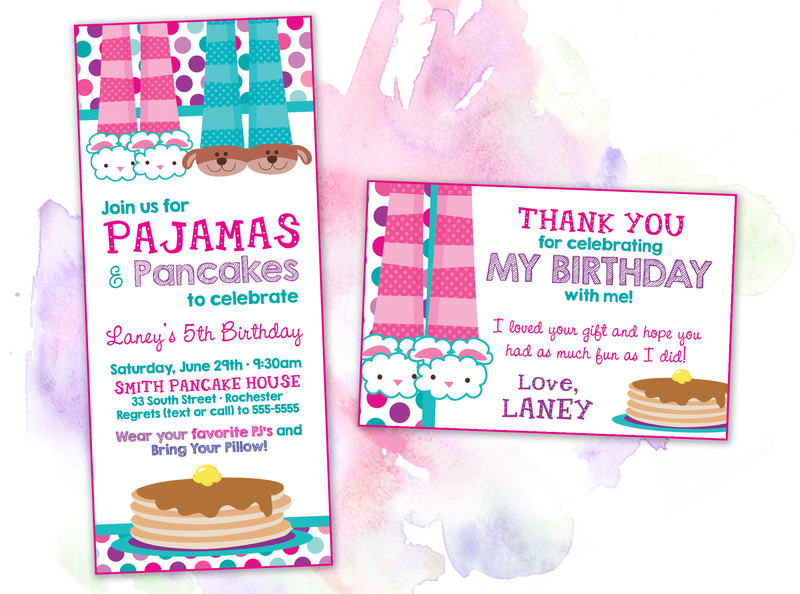 Laney’s Pajama & Pancakes Birthday Invitations. 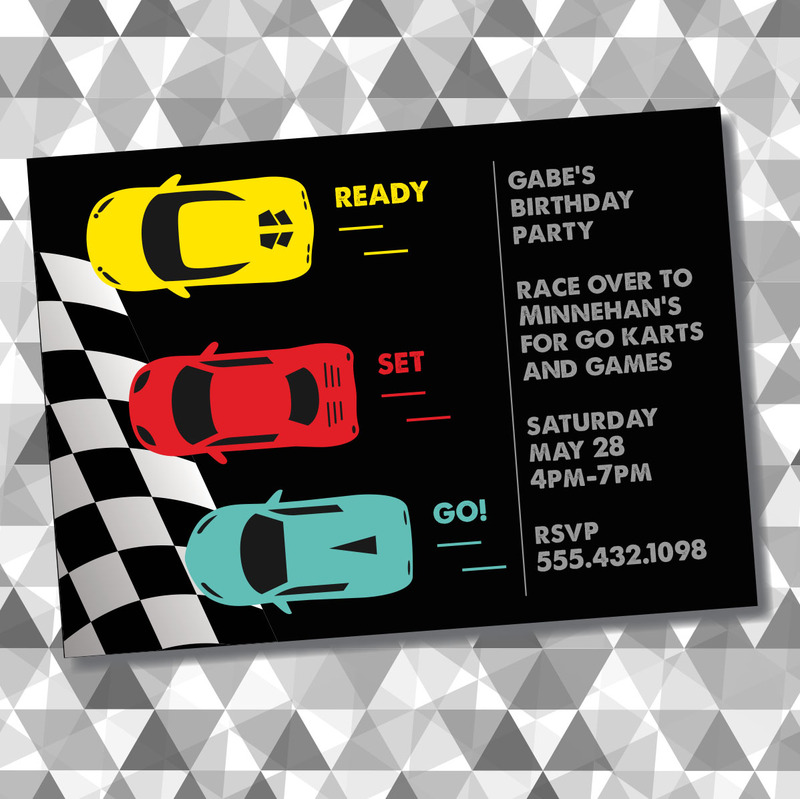 These invites were so much fun to design. 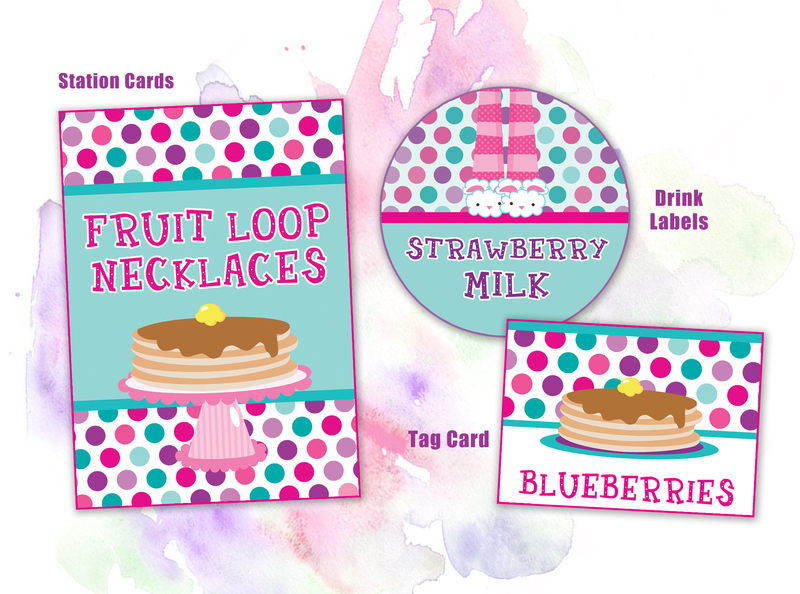 activity station cards, and labels for both drinks and pancake toppings. were excited to receive them in the mail! 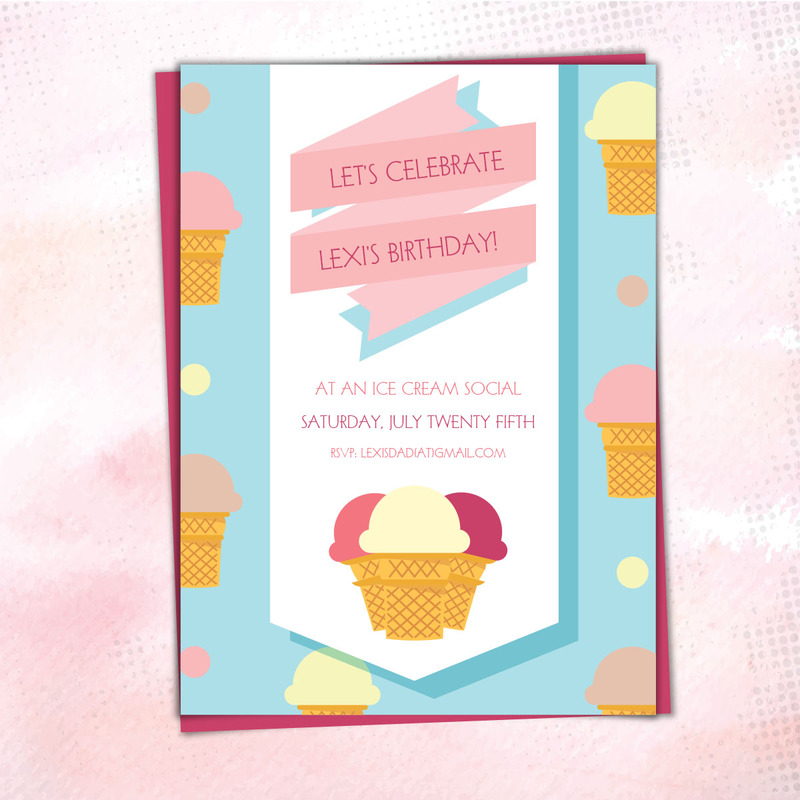 We used bright hues of pink, purple, and turquoise to make the invitation pop. It really added to the look of the party. 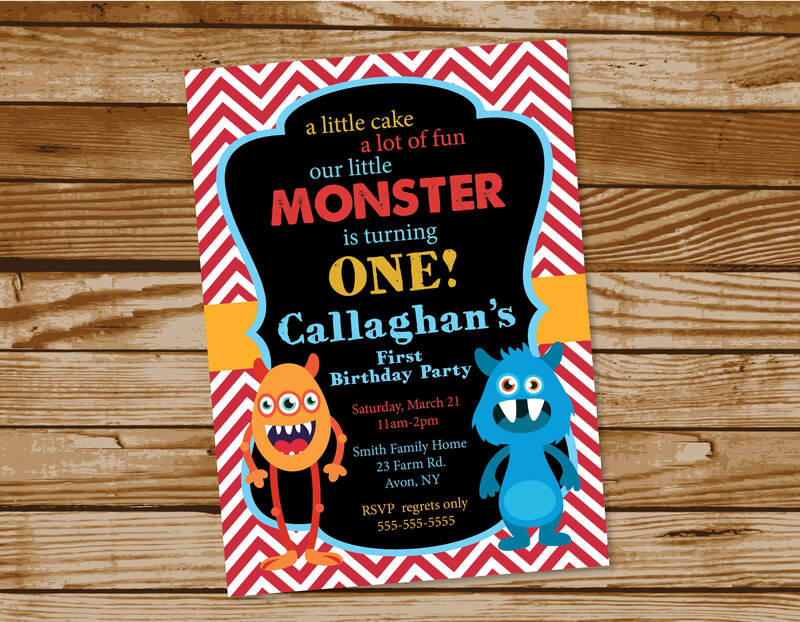 We can create custom invitations for your child’s next birthday theme! What a fun project for us! 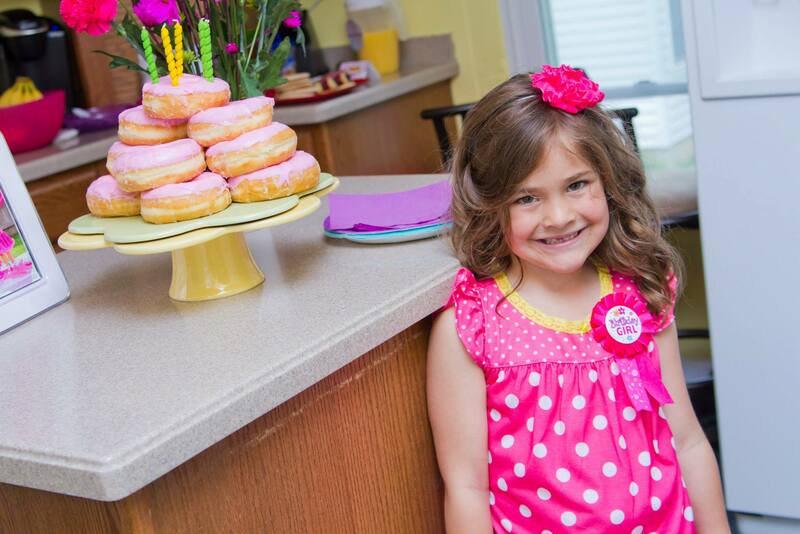 Happy 5th Birthday Laney!